I will post pictures tomorrow, as I will be collecting a little surprise! Please elaborate, no system is too small! 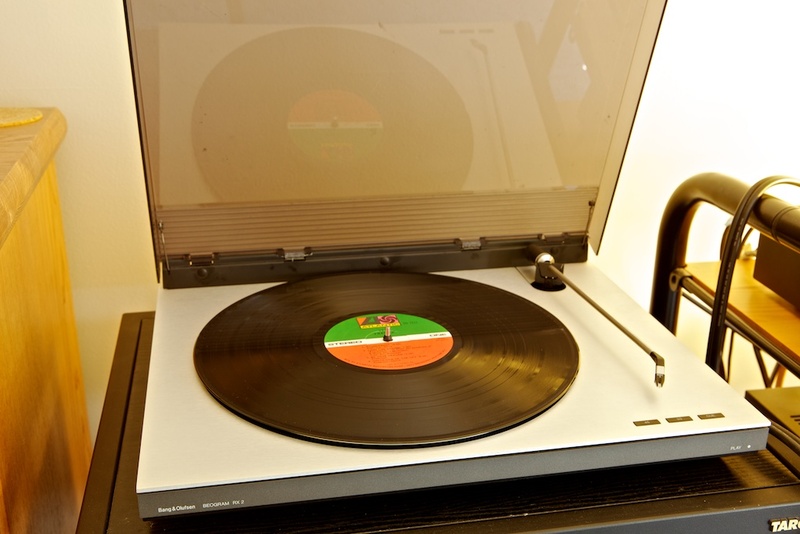 Vinyl records, cassettes, open reel, valve amplifiers and film photography. Here is my latest pride, my refurbished BM 4000, look at the wonderful wood grain and and all perspex there and without "yellowing"
It's not authentic B&O, but this is my new and improved reproduction 2500 cube tweeter. It's not authentic B&O, but this is my new and improved reproduction 2500 cube tweeters. How do I post pictures now, did about thousands here and now I can't manage to do one! 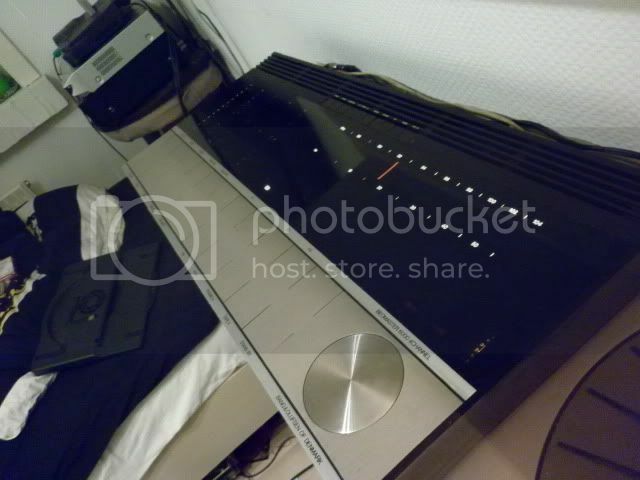 Beogram CDX, Beogram 8000 (below: Beocord 9000, Beocord 2200 (as new), Beomaster 8000 (below, Nakamichi CR-4 ), system 5500, Revox A77 (as new), Beocord 5000 4715 (fully working, not chewed any tapes yet), Perspective MC120.2 (re-foam'd by Martin). Leslie, either from site or from URL works fine for me. What is your issue? Well Leslie, I could never do that! - take the pictures on my personal "chartz" web server (URL option). Have two options whenever I click on "Insert media" icon. Leslie Nelwan's files and Media. On both I see "There are no items at this level in the list"
What's the next step beside the other URL option which I don't understand? You have to unroll the menu by clicking the little arrow down! See my screen capture above. Could it be that your avatar name has a space? Changed my Avatars name back to as it was. Will wait and let's see if that's the cause..
My new non B&O glasspanels with chamfered edges. Already told in the old forum but here it is again. Left original, right newly made! And I like Toto as well! Everything is connected with the new CAT7 cable and of course this is controlled by a MasterLink Gateway together with Elko Living System (In Denmark this is almost the same as LK). And only one remote ? The Beo4 ? You can do it with the BeoVision 8 and Masterlink Gateway ? If all goes well,here should comes a pair of pics of my setup. A Beomaster 6000 with silver buttons or a Beocord 8000 with a fake cooler box? To spezializten. That looks a lot like my wood stove below. What kind is yours? 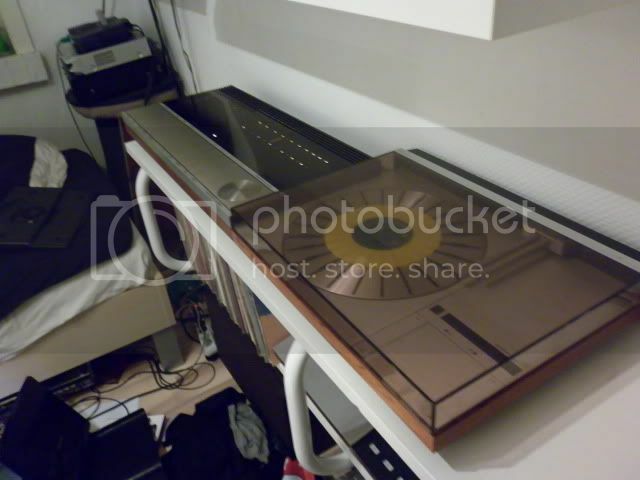 BeoLab 5, BeoVision 7-55 MK2, BeoSound 5 Encore, BeoSound 9000, BeoLab Penta III, BeoLab 8000, BeoLab 6000, BeoLab 2, BeoLab 7-6, BeoSound 8, BeoTime (analog clock), Beo 4 remote. It's cool to see more Beosystem 8000 fans! I like that the different layouts and furniture choices can make such a big difference in appearance of those components! I have found my way to a Beomaster 6000 4 channel (a very early example! ), restored by my B&O technician. I drove it home this night, have turned it on after warming up from an 189 km driving trip on the highway. I was smiling like a child on Christmas Eve during the whole trip! Looks great! No fingerprints on the alum. buttons? Where's the remote? Can have one myself (remote incl.) but it has some prints on the buttons. It also has a small crack in the top right corner (many of them have because of heavy things stacked on top on it), but nothing of significance. All capacitors was changed, drive motor and clutches were pulled apart and lubricated, light bulbs changed and dents straightened out. This is in fact my second 6000 4 channel, I got the first one for free and sold quickly again for a good price because I didn't knew a technician that would touch it at the time! There were a couple factors in the color choice. First, the only original color was black and I wanted to keep the general look original. 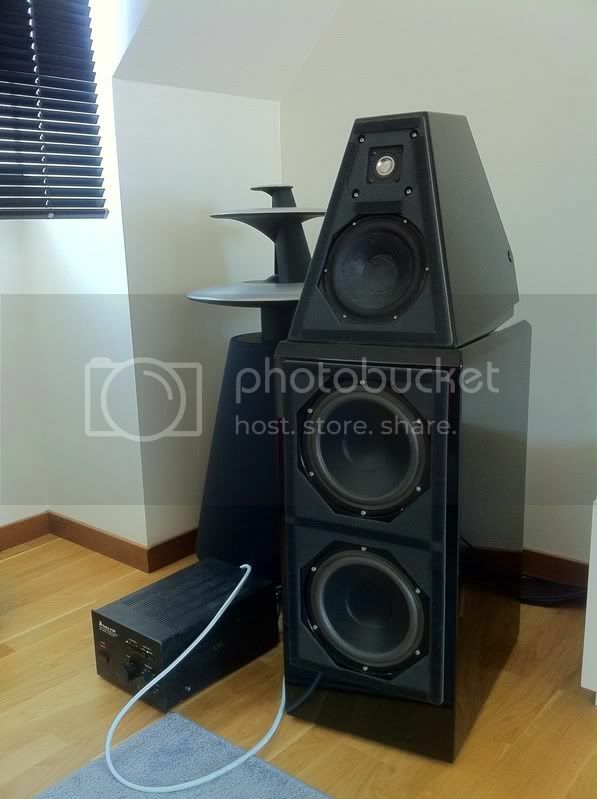 Secondly, they are intended to sit on top of my black-fret JBL towers and I wanted them to match. If JBL didn't stop production on replacement frets for my speaker, I would have converted a second set to white and my 2500s would have likely been white as well. But, I don't plan on stopping at just one set so keep your eyes out for white ones! Now you need the Beocord Søren! 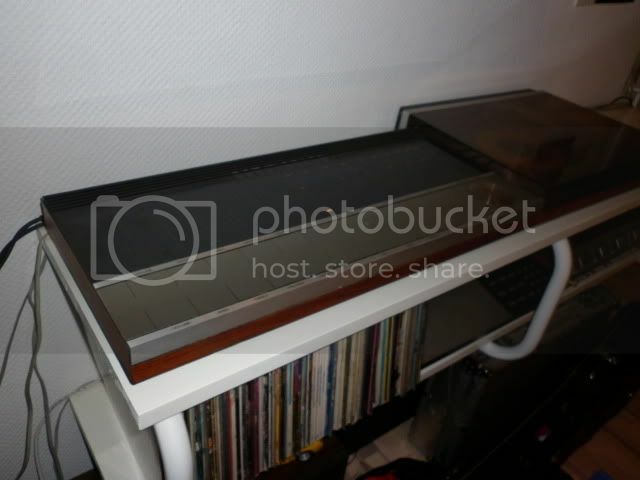 I have found two that works for at very good price, but they are just too far away! A quick look of my BeoSound 5 in action with BeoLab 4. Sorry for the bad quality, my camera is an iPhone ! This is what happens when you don't behave and your best buddy gets sent of to the service shop, you get to stand in the corner and the older boys take your place! That is awesome, Frederik, Steph and Thomas!